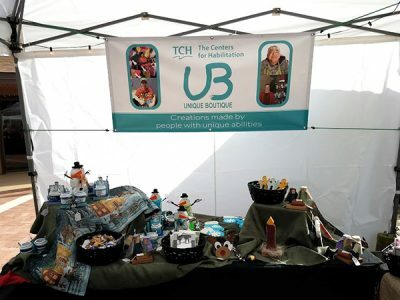 The Unique Boutique is a collective of artists with unique abilities who collaboratively create home and garden decor for sale in the community. 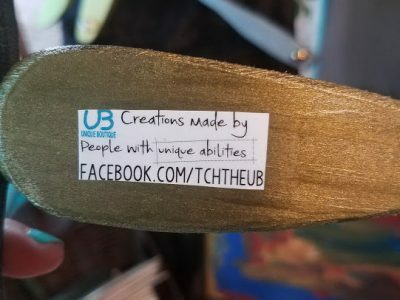 The Unique Boutique is an important part of TCH’s day program. 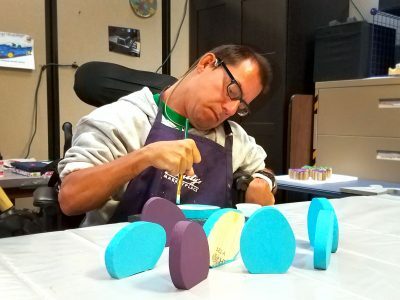 Individuals spend some of their week creating crafts with the help of support staff. 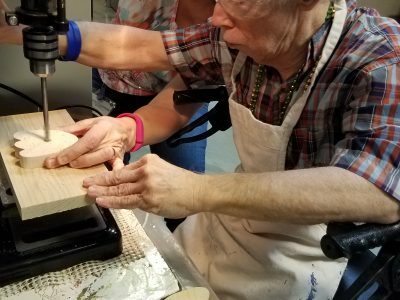 This opportunity provides them new skills, the satisfaction of a hard day’s work, and allows them independence with each project. 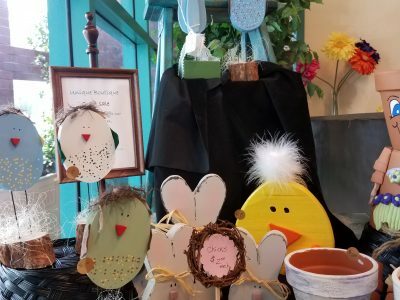 The individuals also take pride in selling their projects in the boutique, local craft fairs, and in the front office at TCH. 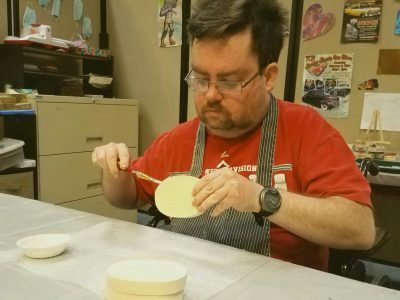 Use of revenue generated from the sale of products is determined by our members and goes back into the process of new projects.